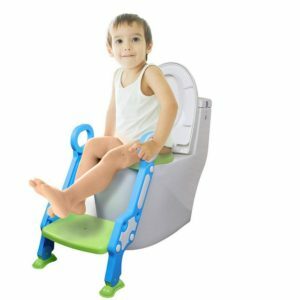 The Early Things Company’s Potty Training Seat with ladder is perfect for potty training toddlers and youngsters ready to learn how to go and where to go. It is the final step towards completed potty training. 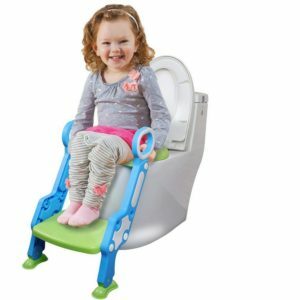 Help your little one take that final step with this safe and easy to use potty training seat. The extra-wide step helps your child easily access your home toilet with ease and safety.